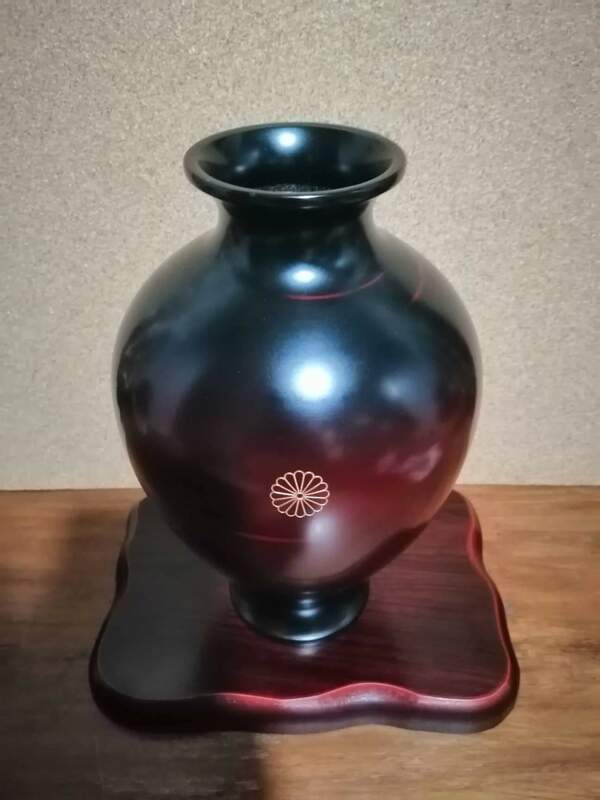 I recently purchased a flower vase and notice that the logo in the middle is similar to japanese imperial crest. There is also a marking underneath but i dont know what it means. 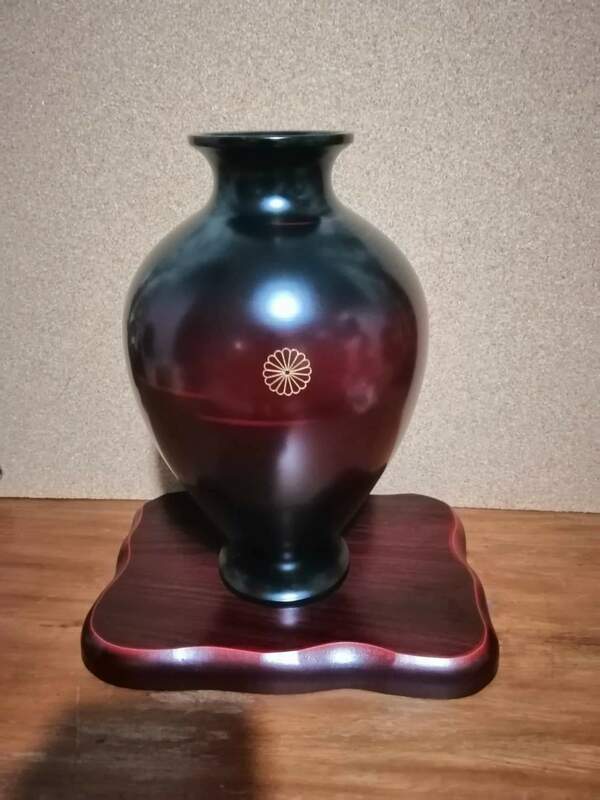 Cannot distinguish if metal or ceramic.